As the world begins its slow but inevitable transition away from oil, many established businesses are being forced to find new ways to stay relevant against agile start-ups. What these companies, both old and new, have in common is a desire for greater financial flexibility through digital services, in order to become more competitive. Azerbaijan has emerged as a perfect example of this trend, as a growing power with a thriving business environment and a growing need for better digital services. 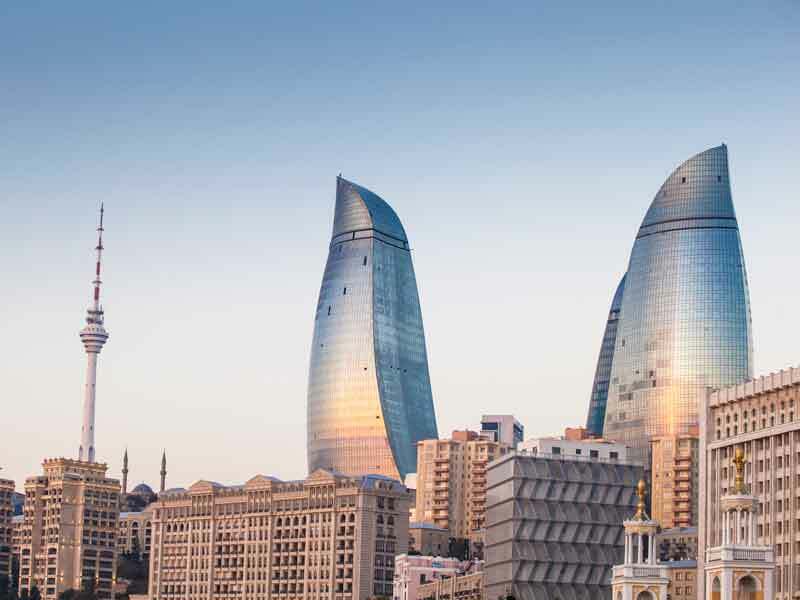 To learn more about how new digital services are set to transform Azerbaijan’s banks and business, World Finance spoke to Taleh Kazimov, CEO and Chairman of PASHA Bank. PASHA Bank is in the final year of its development strategy. Has the bank achieved its goals? Even though there are still a few months left until the end of the strategic period, we can already state that we will close with positive results. Over the course of the last two years, the bank’s organisational structure has been changed, new functions have been introduced, and numerous projects that were imperative for the bank’s future success have been implemented. One of the most important steps taken was the transition to a new bank platform – Oracle Flexcube. With the aim of expanding the bank’s operations in Azerbaijan, Turkey and Georgia, this move was geared towards improving business processes in our countries of operation. The bank has also exceeded forecasts on a number of indicators. At the end of 2016, compared to the beginning of 2015, PASHA Bank’s consolidated balance more than doubled, from AZN 1.3bn ($771m) to AZN 3bn ($1.8bn). What’s more, profits increased from AZN 12.5m ($7.4m) at the end of 2015 to AZN 69m ($40.9m) in 2016. Have economic challenges in the region made it difficult to improve performance? Despite weakening economic activity in the country, our customers’ demand for banking products and services has remained stable, and in some cases it has even increased. By continuously analysing market conditions against a background of macroeconomic changes, PASHA Bank has taken preventative approaches to address possible challenges, and has introduced accurately defined, tailor-made solutions for every business case. Moreover, being one of the largest banks in Azerbaijan, we closely observe, analyse and professionally manage all potential risks pertaining to the national and regional market. As a result of this, our total number of customers for the end of 2016 increased more than threefold, and is now approaching 2,000. The volume of operations processed by those customers increased by almost 40 percent, and exceeded AZN 1.1bn ($652m). Will digital banking feature in your 2020 plan? Digital technologies will gradually cover all aspects of our daily life, and this applies to businesses as much as to individuals. In this context, the global transition to digital banking is inevitable. Even though Azerbaijan has a relatively small economy, the country proactively participates in global processes and is a key player in the region. In light of this, modern technology will not pass us by. As a leading corporate bank in Azerbaijan, we will work on the digital component of our strategy, which will enable us to offer our customers a new level of service. Since July, we have been able to ensure that 65 to 70 percent of the total volume of our customer operations are processed through internet banking services. Are customers in Azerbaijan prepared for the digital transition? The forthcoming innovations and changes will undoubtedly fall outside of some customers’ comfort zones. That said, these same changes will greatly benefit them too. Operational costs will be reduced, and local branch customers will waste less time in queues and processing paper-based transactions. Still, some customers may prefer not to work with new technologies. To prevent such cases, as the leading corporate bank in the country, PASHA Bank will proactively support its customers during the transition period, and will provide the most relevant banking services for each individual. Which areas of the economy will be considered a priority in the short to medium term? Our analysis has shown that almost every segment of the non-oil economy has potential for expanded business operations. As such, the bank’s activities will be focused on supporting businesses in areas such as agrarian complexes, information and communication technologies, transport, production, tourism and trade. It’s very exciting to be part of this new era in Azerbaijan.